This home has it all. You will feel like you are at a resort! 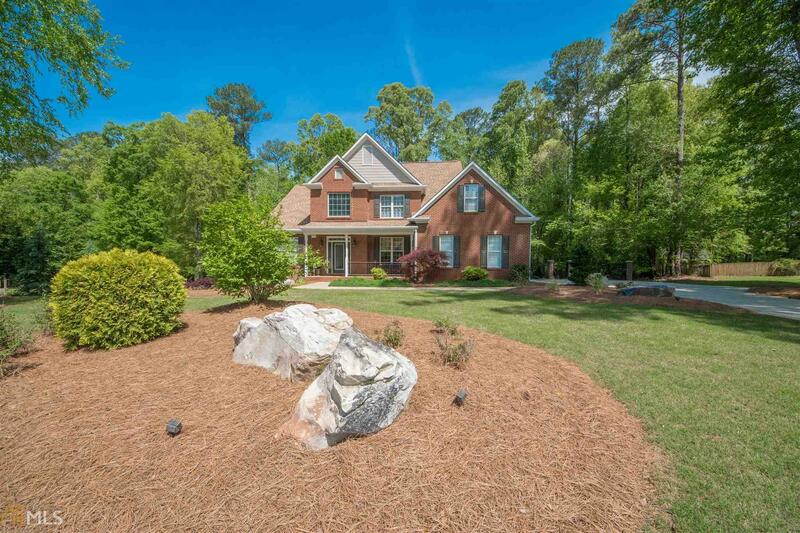 Master on main and an additional bedroom on main.Vaulted Greatroom, kitchen, Formal Dining, screened porch with a trex deck. 2 bedrooms and bonus room on 2nd floor. Basement is finished with a bedroom, office, family room with gas fireplace, pool table room, and bar/kitchen. And a large storage room. Outside is a covered full kitchen with granite and stone bar, complete with gas grill, green egg, small fridge, and TV. All overlooking a pebble tech gunite freeform pool and hot tub that has a water fall that makes it look like it is a secluded pond. Backyard is black iron fenced. Outdoor lighting sets the mood at night. You have to see it to believe how great this home is. Directions: Peachtree Parkway South. Left Into Timberlake, 1st Right Onto Woodmere. Home On Left 110 Woodmere.